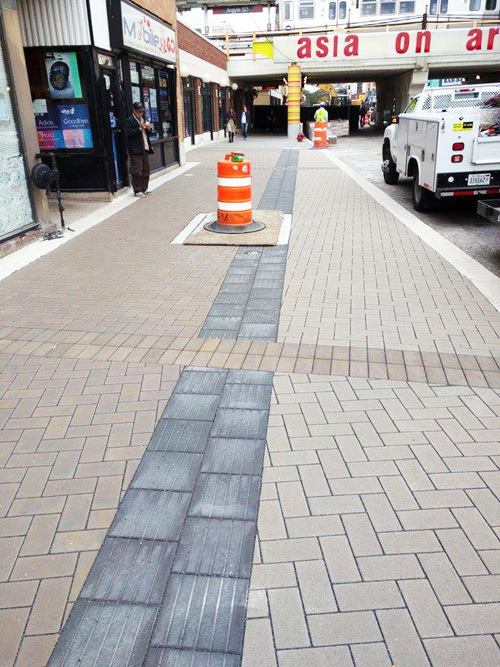 Some of the sidewalks on Argyle Street look nearly done. We're still not completely sold on the "shared street" concept, but this is looking good. That doesn't look very "shared" to me. In fact, that looks like a pretty clear curb those cars are parked next to. However, things take time, so let's see how the final result is. The street portion will likely have to be raised. I see the trees will be planted in poured concrete boxes. No room for lateral root growth and they will die prematurely. So sad that this was overlooked. Is it too late to change this???? "There is an onsite construction office at 4956 N. Sheridan Rd., where an open community meeting is held at 9am every Wednesday. 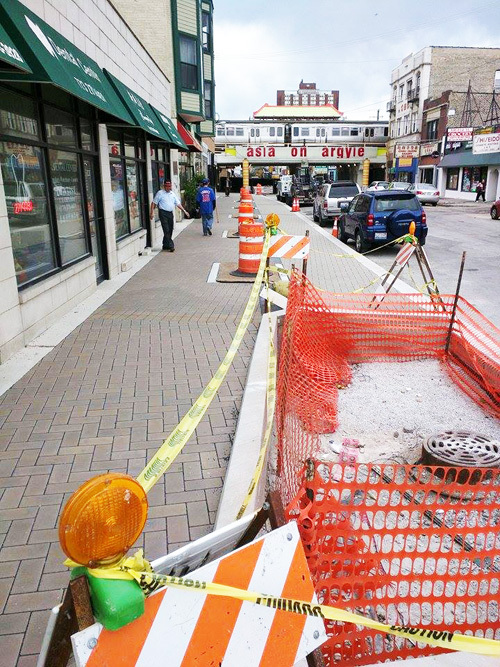 If you have any questions or concerns, feel free to contact the contractor for the project, Speedy Gonzales, at the onsite office or the 48th Ward Alderman's Office at 773-784-5277 or argyle@48thward.org." From Ald. Osterman.